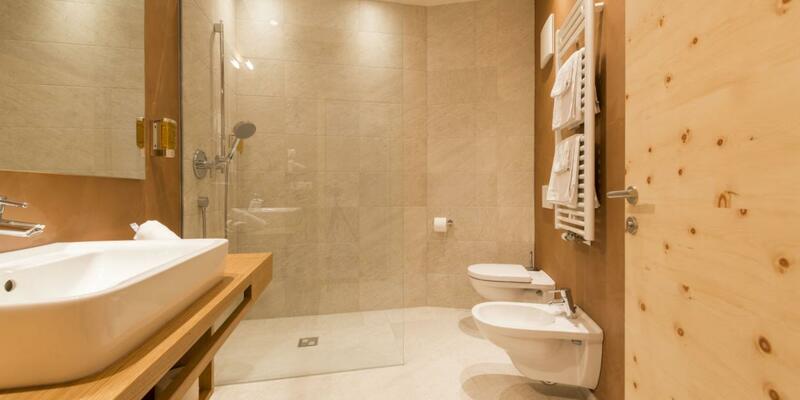 Rates are quoted per person per day including half-board and all included services at Aktivhotel Panorama. 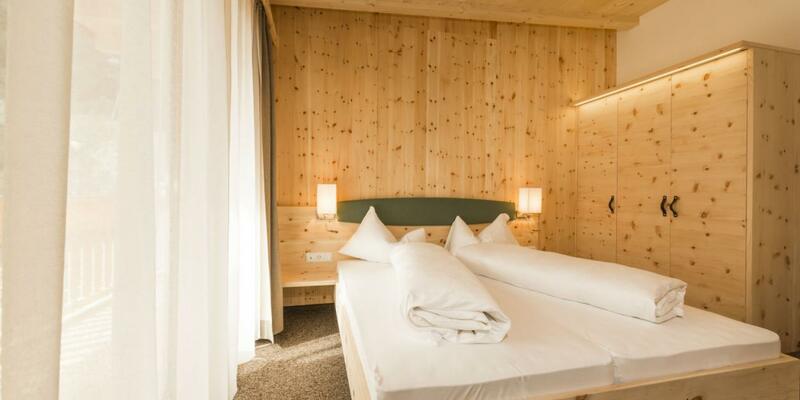 VISITOR’S TAX: Since January 1st 2014, the visitor’s fee has been introduced to South Tyrol. The earnings from the visitor’s tax are used for extension and maintenance of infrastructures and services, as well as for the organization of cultural and athletic events. The visitor’s tax is 1.00 € per night and person, children up to 14 years are exempt from this fee. 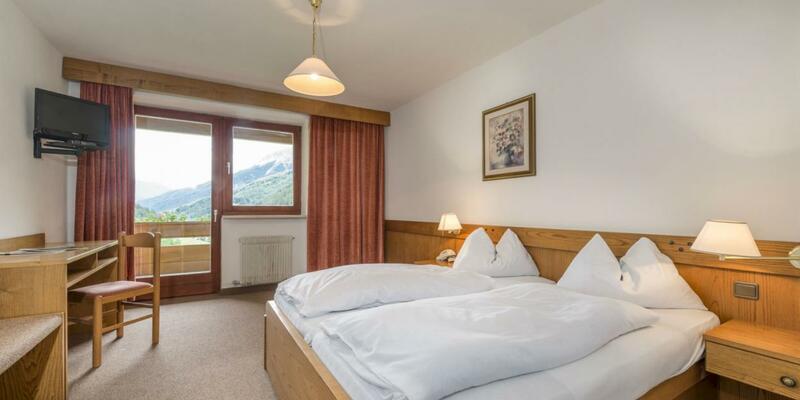 We are glad to offer you an individual package, custom-made for your holiday in Fleres Valley. Single room with balcony or direct access to the garden. Furnished in typical Tyrolean style, desk, luggage deposit, shower/WC with hairdryer, flat-screen TV with satellite receiver, telephone and room safe. Double room with balcony facing west or direct access to the garden. 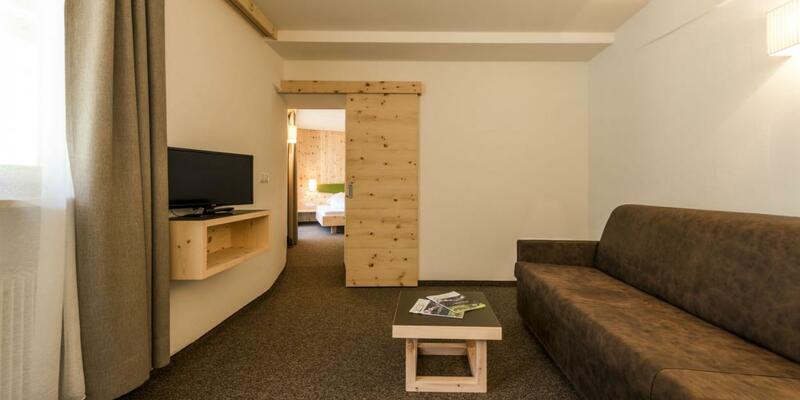 Furnished in typical Tyrolean style, desk, luggage deposit, shower/WC with hairdryer, flat-screen TV with satellite receiver, telephone and room safe. Double room with balcony facing east, valley view and morning sun. Equipped with natural wooden furniture, desk, luggage deposit, shower/WC with hairdryer, flat-screen TV with satellite receiver, telephone and room safe. Double room constructed using natural wood with balcony facing east or west and large panorama window. Equipped with natural wooden furniture (Swiss stone pine), large shower room with washbasin and hairdryer, separate WC and bidet, comfortable sitting lounge, flat-screen TV with satellite receiver, telephone and room safe as well as obscuring curtains. 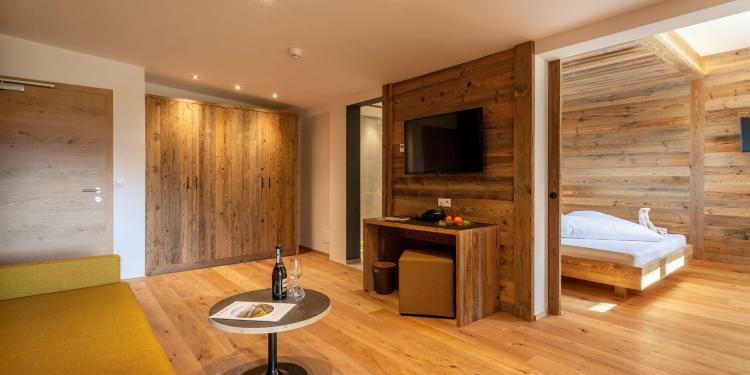 Junior suite constructed using natural wood and separate living room. balcony facing west and large panorama window. Equipped with natural wooden furniture (Swiss stone pine), large shower room with washbasin and hairdryer, separate WC and bidet, comfortable sitting lounge, flat-screen TV with satellite receiver, telephone, mini bar and room safe as well as obscuring curtains. 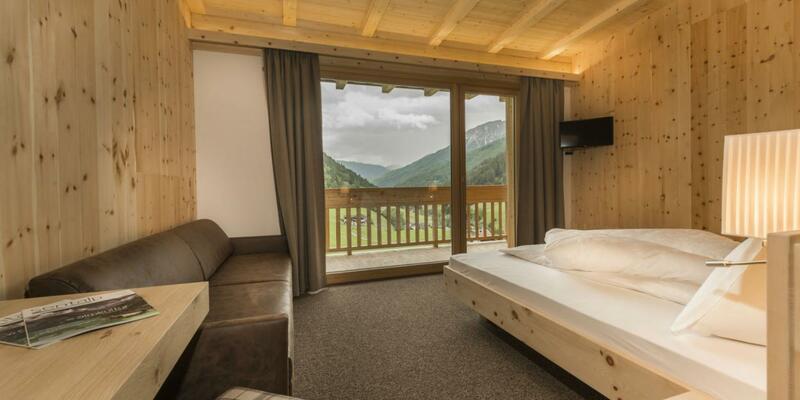 New double room constructed using natural wood with balcony facing east or west and large panorama window. Equipped with natural wooden furniture, large shower room with washbasin and hairdryer, separate WC and bidet, comfortable sitting lounge, flat-screen TV with satellite receiver, telephone and room safe as well as obscuring curtains. Suite with separate living room. Balcony facing east and panorama window. Equipped with natural wooden furniture, large shower room with washbasin and hairdryer, separate WC and bidet, comfortable sitting lounge, two flat-screen TV with satellite receiver, telephone, mini bar and room safe as well as obscuring curtains.